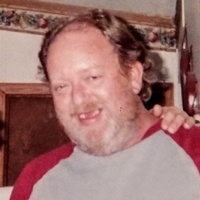 Timothy "Larry" Mathis, Sr., 57, of Hope, died Friday, March 29, 2019 at his home. Timothy had previously worked at David R. Webb and had worked at Clouse's IGA in Hope. He enjoyed fishing, working on cars, tinkering with remote-control cars, and collecting knives. Born on January 24, 1962 in Columbus, Timothy was the son of Dale Eugene and Terrie Richards Mathis. He married Elizabeth Kinser on October 24, 1981, and she survives. Other survivors include his mother; children, Timothy (Kim) Mathis of Columbus, Justin (Casey) Mathis of Columbus, Christopher (Hannah) Mathis of Columbus, Matthew (Bailey) Mathis of North Vernon, Stephanie (Chad) Emmitt of Hope, Adam Mathis of Hope, Eric (Destinee) Mathis of Hope, and Zachary (Reagan) Mathis of Columbus; 16 grandchildren; brothers, Greg (Carol) Mathis of Columbus, David (Melvina) Mathis of Columbus, and Fabian (Renee) Mathis of Columbus; and sister, Teresa (Todd) Mathis of Nineveh. Timothy is preceded in death by his father and daughter, Misty Renee Mathis. Visitation will be held on Tuesday, April 2 from 4 p.m. to 6 p.m. at Norman Funeral Home. A service will be held at 6 p.m. with Pastor Ed Cottrell officiating. Cremation will follow. Memorial contributions may be given to American Cancer Society.